Double Sided Decalsare sometimes also called Two Faced or Double Faced Decals. They decals are super effective in providing more message at a lower cost. You can pick the shape and the size, even the color. 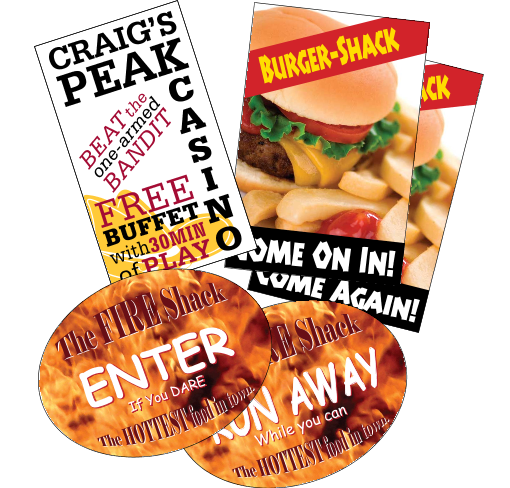 In fact, Denver Decal now offers these double faced items in Full Color Print and spot colors. These decals are printed with a long lasting screen printed process designed to hold up in the hardest of conditions. 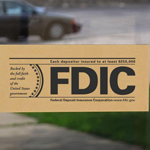 If they are being used in store windows these decal can stand weather, sunlight, hot and color without discoloring for a long time. 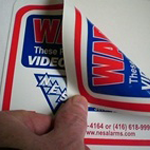 Double Sided Decals are printed on 1 of 3 material types. Static Cling, Temporary Adhesive, or Permanent Adhesive. Static Cling can be good for windows and being removable and re-positionable. 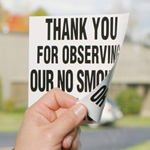 Temporary Adhesive is a durable and easy way to get the message up and get it down when needed. If you need a decal that stands the test of time, try the Adhesive Decal, design for permanence and durability. Shipping: Most Double Sided Decals are shipped in 7 Business Days!